The Clutch Bag is handmade from full grain leather, sporting a convenient wrist strap and a rustic brass magnetic snap with ample room for your accessories. 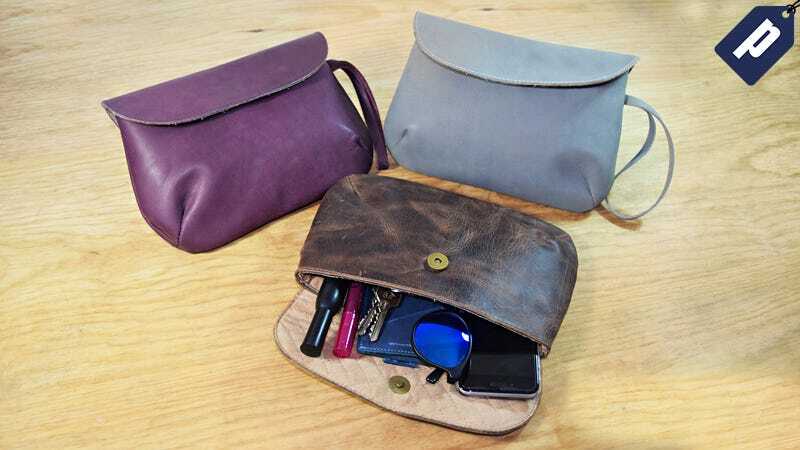 Available in Bourbon Brown and Lavender with a decorative Pelusa Melocotón interior, a Clutch Bag is just $24.50 when you use code 50BAG at checkout, a savings of 50%. Full details here.